A landmark £30 million development is to be built within Perth city centre. The Mill Quarter development, which will be located on the site of the Thimblerow car park, will comprise of restaurants and bars, speciality shops, a cinema, gyms, housing, and a multi storey car park. It is expected to create more than 150 jobs and over 350 construction and supply jobs, while attracting over 300,000 visitors every year. This multi million pound project is the first investment secured by the Scottish Cities Alliance, a partnership between Scotland’s seven cities and the Scottish Government. “If Scotland’s cities thrive so too does the rest of the country, and I am pleased to announce this exciting new £25 million venture for Perth. 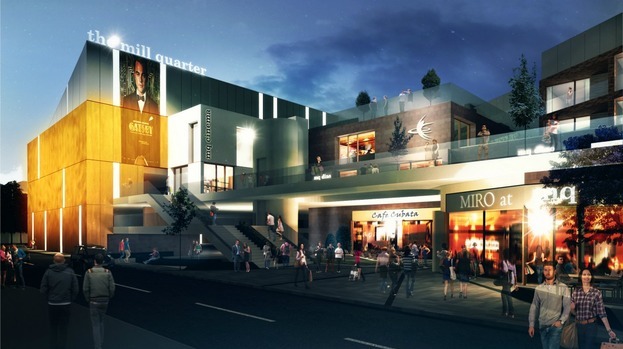 “By providing a unique new destination for restaurants, retail and leisure, the Mill Quarter development will boost the local economy by creating jobs and attracting visitors to the area. Councillor Andrew Burns, Chair of the Scottish Cities Alliance said: “This is a fantastic result for the city of Perth and my congratulations go to everyone involved in bringing the deal to fruition. “Of course, it’s also a demonstration of the great benefits to be gained from partnership working between the seven cities, with our recent presence at investor events such as MIPIM clearly paying dividends. Councillor John Kellas, Convener of Enterprise and Infrastructure Committee at Perth and Kinross Council, said: “Expresso Property’s proposals will provide a welcome addition to the City’s local economy, driving additional employment and adding to the spend potential across the entire City Centre. “As the population grows, a development of this nature further establishes Perth as a city in which to invest, work and live in, and is an embodiment of Perth and Kinross Council’s Perth City Plan. “We are delighted to have been selected to create this new leisure quarter making it an ideal location to live, relax and entertain in the heart of the City. “We are particularly focused on developments in Scotland. We have been impressed by the support given by local government and their agencies in making things happen. WOULD YOU LIKE TO FIND OUT MORE ABOUT THE SERVICES WE CAN PROVIDE FOR YOUR BUSINESS?